Vounit is a website that provides a window shopping experience for its users as well as providing exposure for all the online stores. It is basically an online window shopping mall that brings all the best promotions available on the internet from the countless online stores under one roof. The objective of vounit.com is to create a platform for shoppers where they can go through all the contests, deals, products and promotions featured on online stores in a quick and convenient way as well as give them the opportunity to interact with other shoppers and share their shopping experiences by giving reviews of different stores and products. Customers are able to create their own shopping malls where they are able to favorite a store and browse through the sea of stores and get to check out those they had never heard of before. 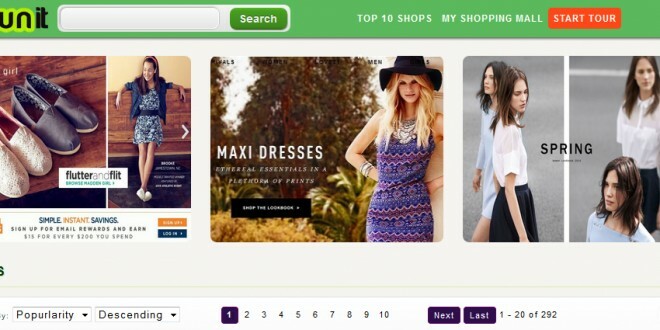 This allows customers to get updates fro their favorite stores without having to comb through the categories. The site has provided an easy way to shop and makes joining the community pretty easy and straightforward as well as pledging to keep the customer’s information private and does not release any of their data to any third parties without the consent of the customer.